Join us in Cultivating Immigrant, Child Care and Grocery Co-ops! 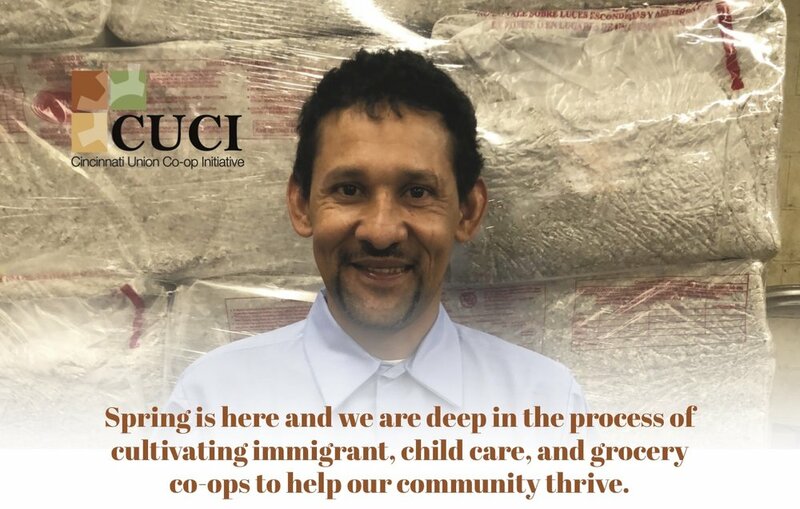 Spring has arrived and here at CUCI, we are deep in the process of cultivating immigrant, child care, and grocery co-ops to help our community thrive. And a bunch of our co-ops are hiring and growing!! Existing co-ops Sustainergy and Our Harvest are looking for a driver/installer and a food team member, startup child care co-op CareShare secured an initial seed capital loan and is ready to hire its start up CEO, and Apple Street Market hired a dynamic duo to lead up its Capital Campaign. We also had an exciting visit from the Open Society Foundation and are humbled and grateful for the national and international attention our work has been receiving. April kicks off our annual Sustaining Partner drive to help make our work more sustainable, so we are asking all of our supporters to please consider becoming a monthly donor. We couldn’t do the hard work of walking hand in hand with our most disenfranchised communities to create co-ops without you! Please consider joining TODAY to help create family sustaining jobs, enable parents and their children to access affordable, culturally competent child care; and create access to healthy, affordable food in 2019.